Start framing the main part of the chicken coop (hen house). 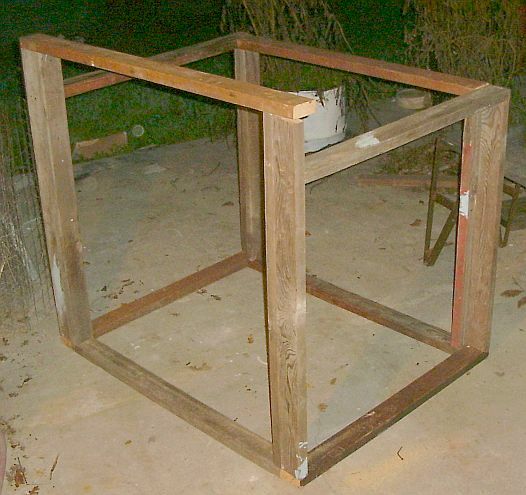 Build the chicken run and “frame” that the hen house will sit on / into. Add the door locks (gate latch and homemade latch). The gate latch holds both sides closed when latched. 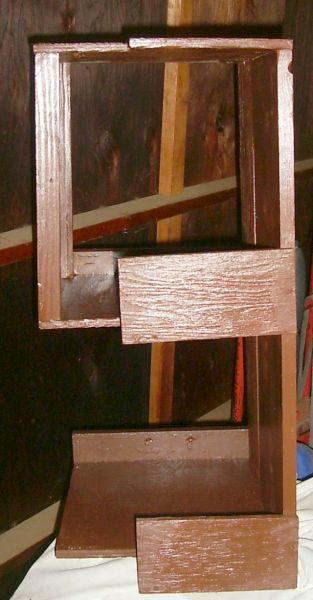 The top homemade latch secures both doors VERY tightly, but when it is in the open position it allows both doors to open. Add a guillotine style door to section off the house from the run. I created a frame that the door would slide in. Here are the pics of the door open and closed. 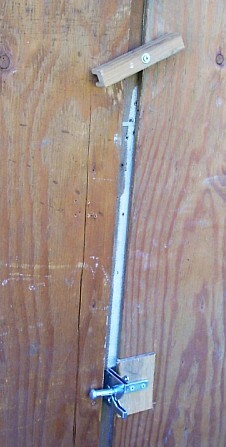 See the string that goes to a handle that allows me to open and close the door from the front of the house. 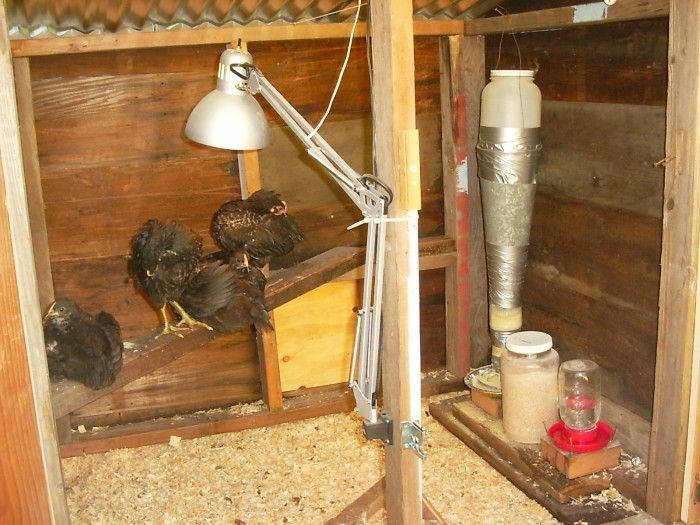 Also build the world’s most ghetto feeder (made from two different sized plastic peanut butter jars, a large plastic jar, some A/C conduit, and the chick feeder… oh, and LOTS of duct tape! This thing is ugly, but works BEAUTIFULLY! Add a ramp for the chicks to go from the run to the house easily. 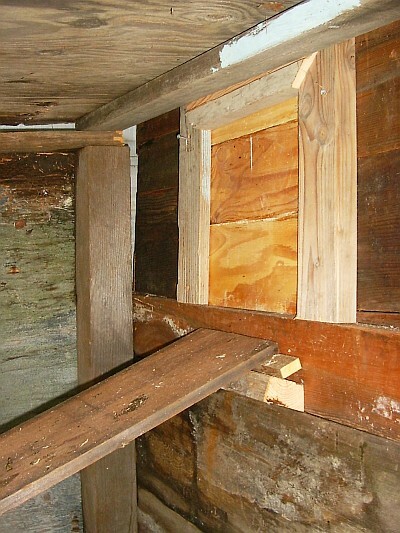 In this picture you can see the frame I built for the door to slide in. Here are all the happy campers… er… um chickens! Rebuild roof over the run for better water drainage. I decided to keep the nest boxes inside. I was afraid that after going to the trouble of building the boxes externally that the chickens wouldn’t use them (too high, too low, etc.) Instead I built the following two story box. This will allow them to be low or high and I can remove it if necessary. I also added a new all natural roost! Here are our NEW CHICKENS! Click here for the whole story! 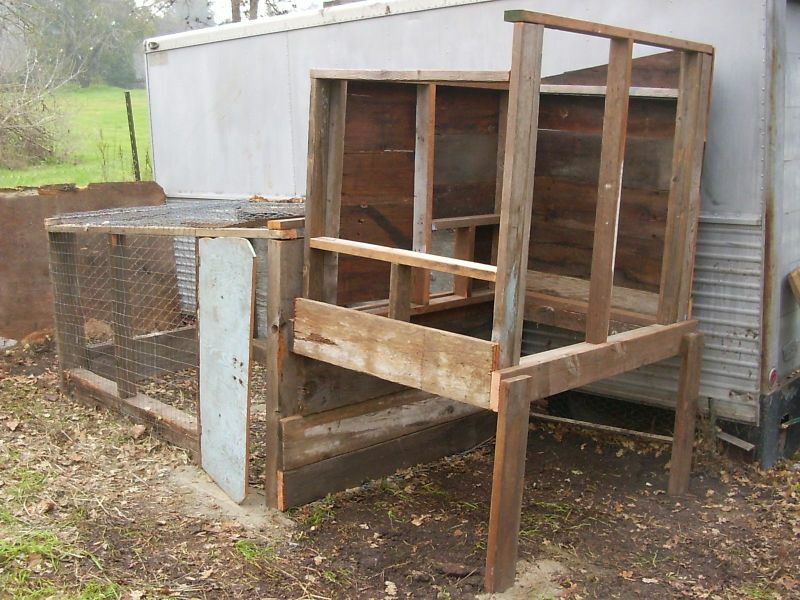 Somebody on BYC asked that people show their eye sore chicken coops and I reluctantly posted mine. 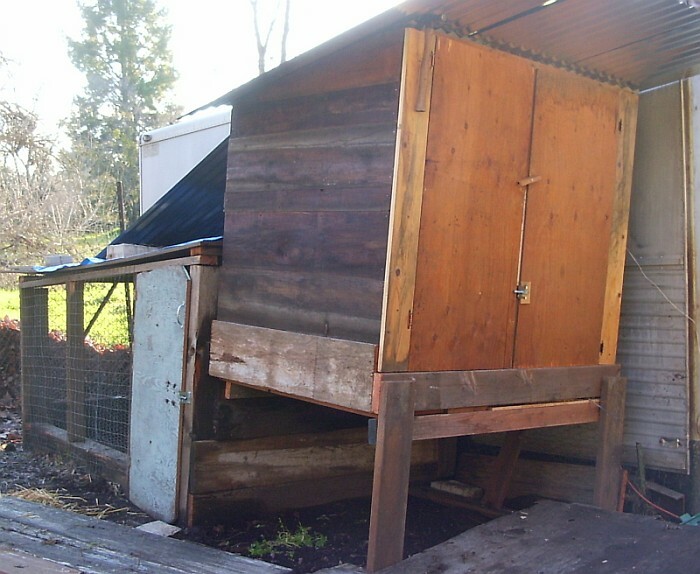 This one was built out of scrap wood on hand and meant to be a temporary coop until I built my DREAM coop. Well, that was 5 years ago! 1) It “functions” fine… it’s just as ugly as all get out. 2) With all the new chicken coop designs posted on BYC I get more and more ideas of what my coop should look like and do. I want it to be perfect in every way, so I become paralyzed and don’t do anything. 3) I could just buy a great looking coop or pay someone to build it, but I really want the satisfaction of doing it myself. Some day I will build the perfect coop… some day!!! 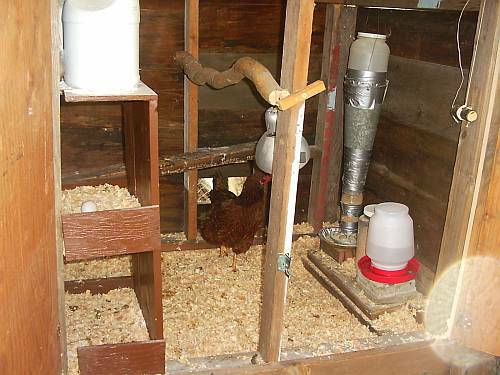 To see over 300 chicken coops that are way better than mine, visit my site http://www.backyardchickens.com/coopdesigns.html. You can also ask coop questions in the chicken coop section of the forum. Great Ideas! For some time I’ve been considering having a small flock of chickens (maybe 10), but cost has always prohibited me from doing so. 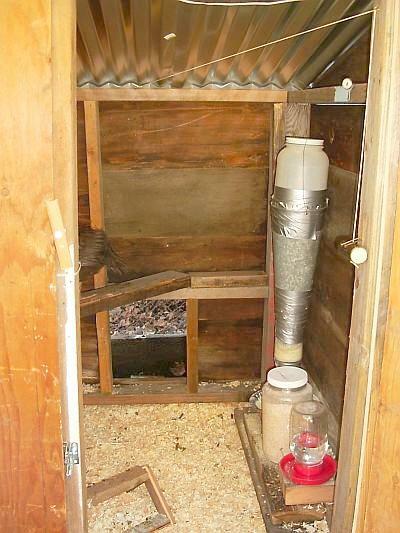 I remember when I was a kid that my grandfather had chickens, but I couldn’t remember the coop they were housed in. Armed with the thought that he wouldn’t have had them if they were expensive to house, I started to search the internet, and I found your site. So far I had it in my mind that they needed a shed like structure that would be expensive to build with an equally grand pen. I think instead I’ll follow your lead and make an elevated pen high enough that I can put the wheel barrow under on one side (under the trap door) and storage on the other side for extra hay and feed. I don’t think the chickens will care if it’s not pretty, and with this in mind I can search out the local recycled building materials center for the parts I need. Thanks! Please don’t mind if I copy some parts of your wonderful coop design! Thanks for the replies! I think next time I’ll probably do a bit more planning and go for a bit more aesthetically pleasing coop (more for my wife than for the chickens). Once you’ve got your coops built I’d love to add pictures of them over there! I was looking for an idea to build my mom a chicken house but i have to say this is a good one!!!! I enjoyed reading about your chicken coop. I built an experimental one out of PVC. So far it’s been working for almost two months now and has survived high winds of 40 mph. It’s basically 4 ft wide and 8 ft long. The top on one side has the upper deck 2 ft wide and 8 ft long. The idea if to have easy maintenance. So instead of cleaning the chicken droppings, I just slide the pin to a new location. I used 1/2 inch PVC with no piece longer than 2 ft. I fenced it in with 2 ft high chicken wire. I spent ruffly $60 for materials. send me your email if you want pictures. I’m to busy right now to go thru the procedures of uploading it on this web site. I used about 70 TEE connections, 20 ELBOW connections, and 1/2″ PVC cut to two foot lenghts, fenced in with two foot chicken wire. I will be happy to send pictures if I have your email address. How many chickens can this coop hold app.? The coop and run are currently holding 7 hens and a duck but it is pretty crowded in there. I’d say it can comfortably hold 5 hens, but that’s only because they can go into the run once they wake up. This looks like a good idea. 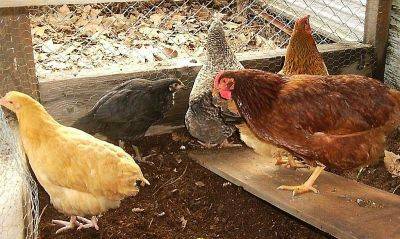 I’m trying to start my own coop so this looks like a good starter. Can the city really fine you if you don’t ask? 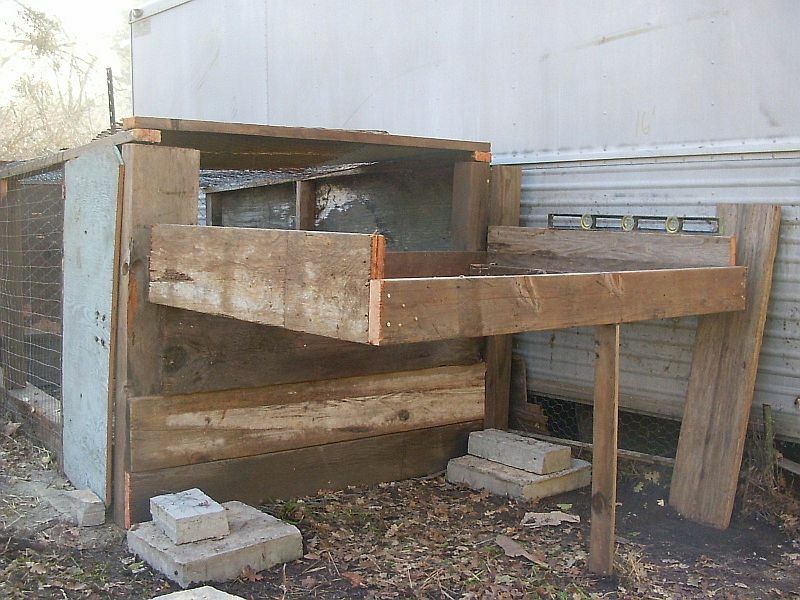 I like the idea im building a coop kinda like that, but smaller coop and bigger run i have 1 rooster and 3 hens. i think you did wonderful a great job on this project. Hi Rob!!!!! I LOOOOVE your coop! I have 13 chickens and they live in a house simaler to that only a little bigger. Of course I couldnt build some thing as good as yours, so I bought mine! Anyway, great job and I love the design! Wow, thanks for the nice, but unwarranted comments! Honestly, this coop was suppose to just be temporary until I had the chance to build my DREAM COOP! Unfortunately life just got so busy that the function of a coop that did what I needed outweighed the cons of the form / beauty (or lack thereof). I like the unpolished, I did the best I could chicken coop and run that you built. It encourages someone who isn’t a carpenter, and doesn’t have wonderful, wood-working skills at his disposal, to see a good working chicken coop, homemade, and not the polished numbers you see on YouTube. This is an old thread, but I appreciate the honesty in your build.